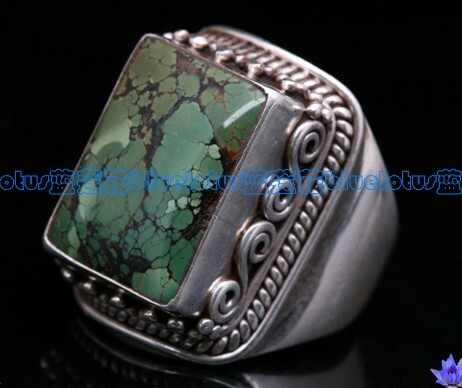 Handmade Tibetan Old Turquoise Coral Finger Ring. 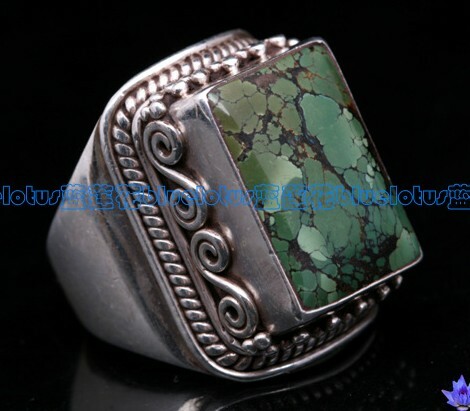 This tibetan finger ring was handmade in Nepal from sterling silver, turquoise and coral. 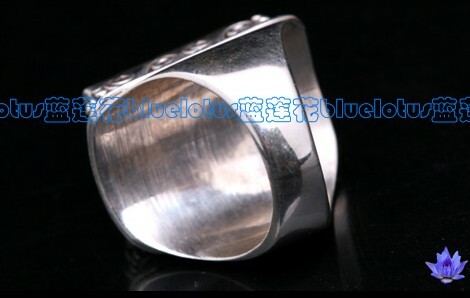 Width: 26x19mm. 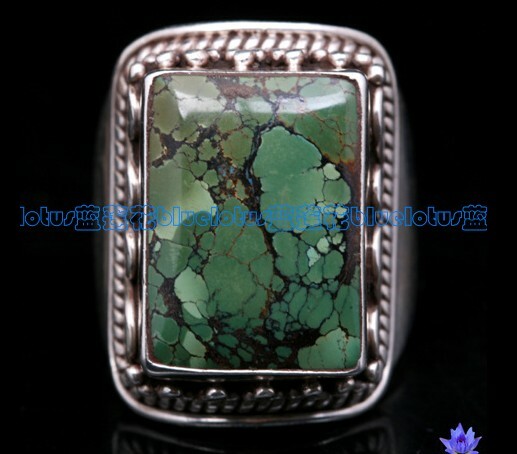 Turquoise size: 20x15mm. 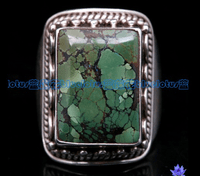 Ring size: 11. Weight: 21g.